The ASUS VS248H-P 24" LED monitor provides Full HD resolution, giving you the best possible multimedia experience. The huge screen area allows for more detail and workspace. The LED backlight technology requires less room making the VS248H-P extremely thin, saving valuable space in cramped offices. The connectivity options ensure that this monitor will work with virtually all of your multimedia devices. 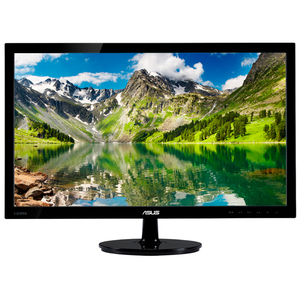 Product Description: ASUS VS248H-P, LCD display, TFT, 24"